Five Earthlings are abducted by aliens and are each given a capsule which can release a weapon so deadly that all of human-kind will be destroyed. 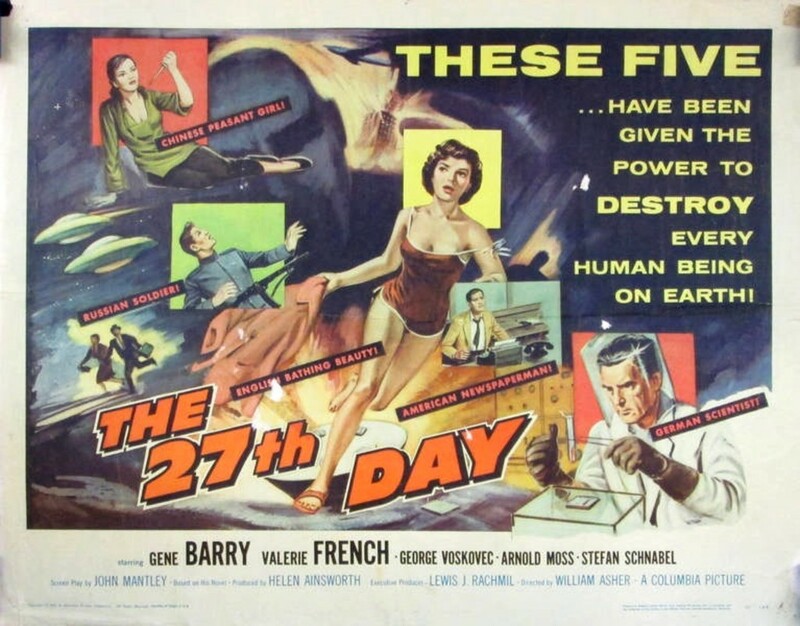 This is a test of sorts: if all 5 can resist using the weapon for 27 days, mankind will continue on Earth but should any one of them release the weapon, all human life will be destroyed and the aliens will take the Earth as their new home. When their alien abductor makes the identities of the five known in a world-wide broadcast, they all become hunted either by the curious or their own governments. 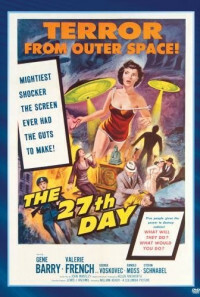 As the paranoia mounts, man threatens to destroy itself through war, without the use of the alien weapon. Regions are unavailable for this movie. 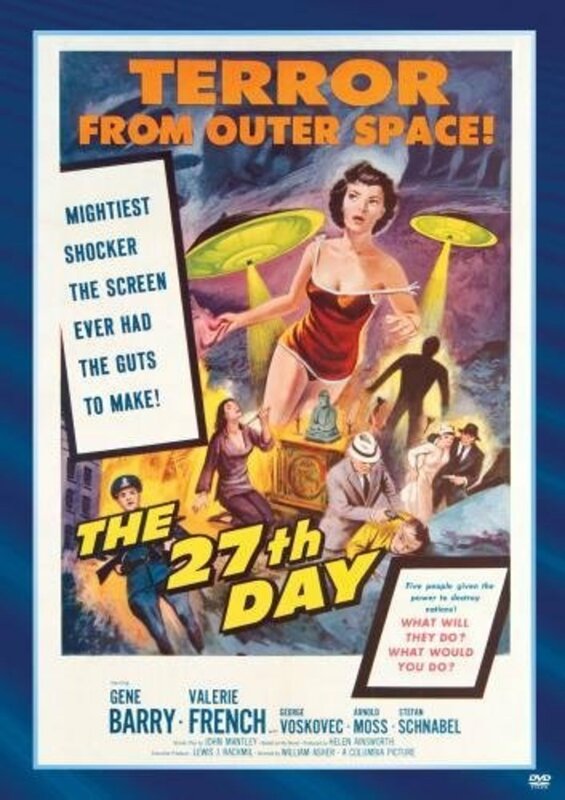 Click the "Watch on Netflix" button to find out if The 27th Day is playing in your country.